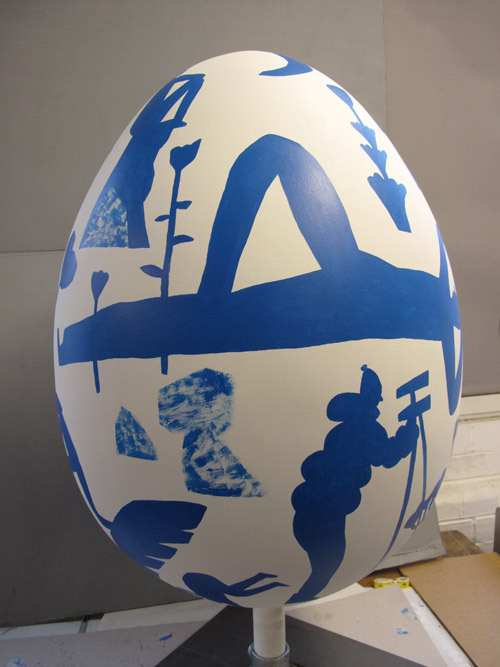 I was asked by the charity Action for Children to paint an egg for this years Big Egg Hunt. 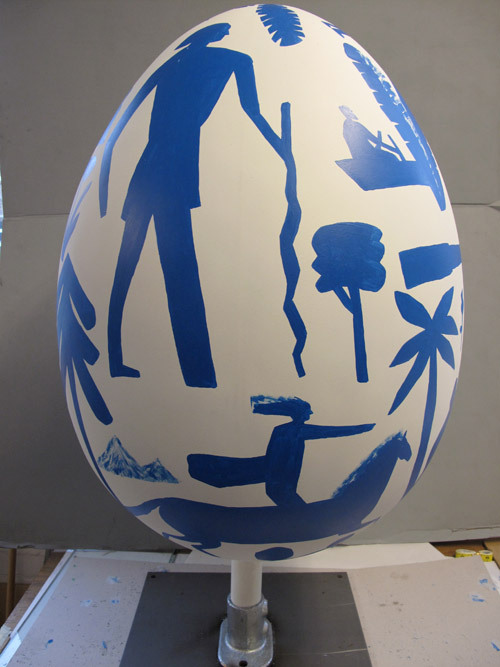 my Idea was a simple one to cover the egg in explorers, looking , hunting for something. 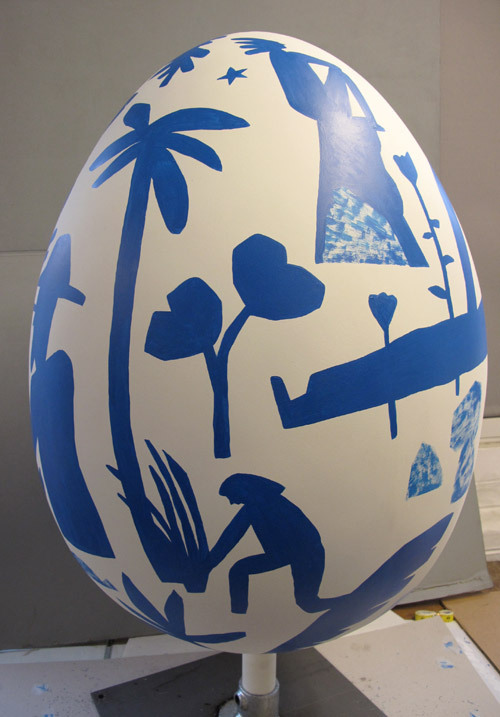 The use of one colour, blue against the white was influenced by its use throughout history in the decorative arts from around the world. The design also had to work technically. 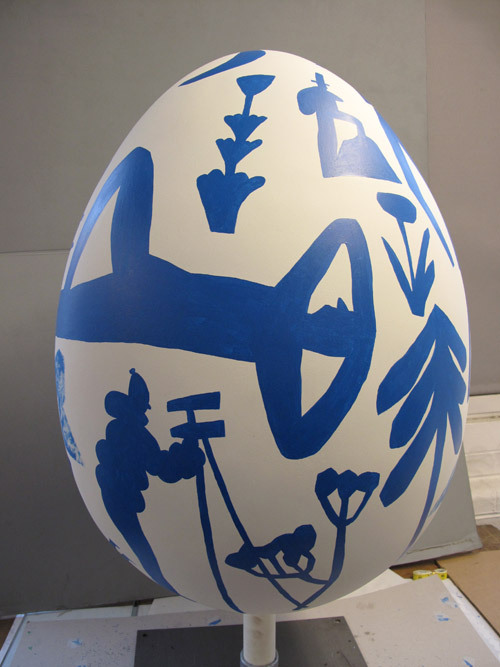 The egg will be place outside later this year in a UK city and therefore will be covered in a lacquer. This meant my usual choice of mediums, paper pencil where not suitable. It was a good exercise in translating my work onto an object via paint, whilst trying to keep in as crude and true to the edges made when I cut paper. More on this project once the event launches around easter. I *love* your egg! I think your work has translated beautifully - it can't have been the easiest shape to work with either! !